LOW MILES - 61,913! White exterior and Gray interior, RTL trim. Heated Leather Seats, NAV, Sunroof, Back-Up Camera, Satellite Radio, 4x4, Tow Hitch, Bed Liner, Alloy Wheels. CLICK ME! Leather Seats, Navigation, Sunroof, 4x4, Heated Driver Seat, Back-Up Camera, Satellite Radio, iPod/MP3 Input, Bluetooth, Multi-CD Changer, Trailer Hitch, Aluminum Wheels, Dual Zone A/C, Heated Seats, Heated Leather Seats MP3 Player, Privacy Glass, Keyless Entry, Steering Wheel Controls, Child Safety Locks. Honda RTL with White exterior and Gray interior features a V6 Cylinder Engine with 250 HP at 5700 RPM*. "It rides, handles and drives like a car; delivers fuel efficiency roughly equal to a mid-size SUV; and includes numerous innovative features not found elsewhere. 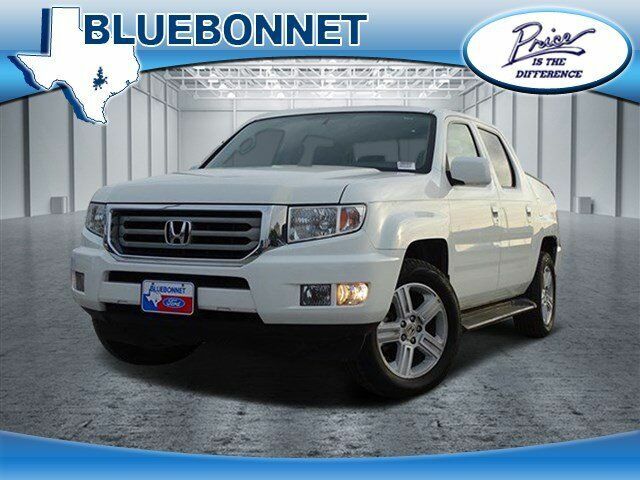 The Ridgeline really is like nothing else in the truck market." -KBB.com.